A psychological analysis of Donald Trump’s speech patterns shows how he triumphed over GOP rivals. 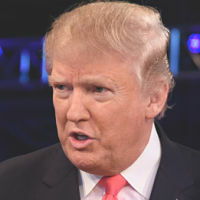 Based on a study ‘Explaining Trump via communication style: Grandiosity, informality, and dynamism’ by Delroy L. Paulhus, University of British Columbia, together with Sara Ahmadian and Sara Azarshahi, published in Personality and Individual Differences. “Research suggests that Donald Trump’s bombastic communication style was the key to his success during the 2016 Republican primary. “The researchers analyzed early campaign speeches of the top nine Republican presidential candidates… they found that Trump’s language contained substantially more grandiosity and substantially less formality than the rest of the candidates… Trump also ranked highest on the use of first person pronouns, had greater vocal dynamics, and used Twitter more often. ….